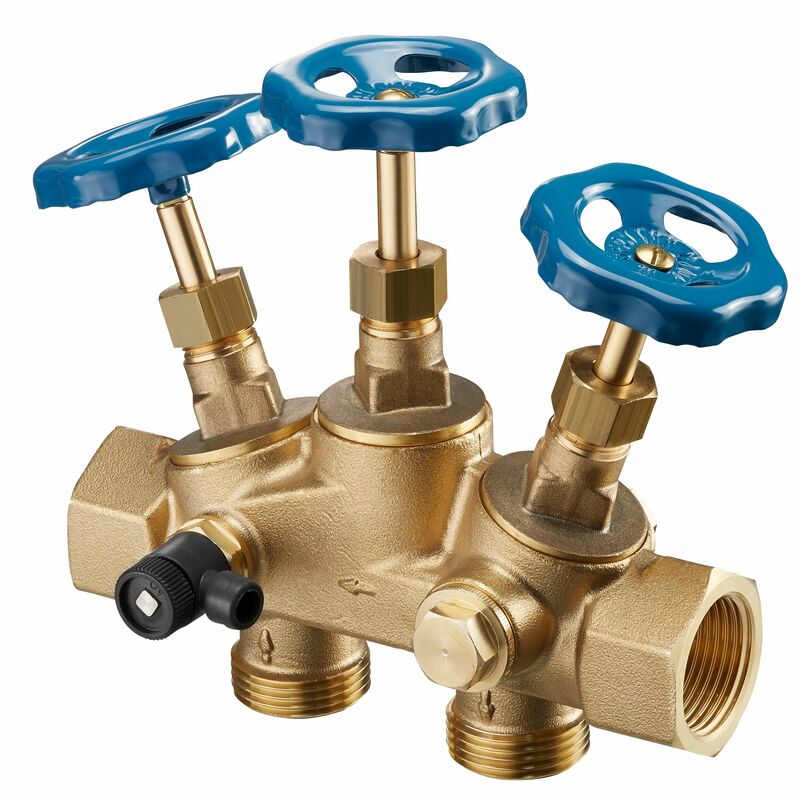 made of brass, with isolating valves and draining plugs, with draining facilities G ¼ and G ½. For potable water softeners PN 10. For installations with integrated bypass mixing valve.